Remuera is a residential suburban area within Auckland city, in the North Island of New Zealand. It is located four kilometres to the southeast of the city centre. The suburb extends from Hobson Bay and the Orakei Basin (two arms of the Waitemata Harbour) to the main thoroughfare of State Highway 1 in the southwest. 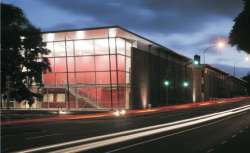 It is surrounded by the suburbs of Newmarket, Greenlane and Meadowbank. An eclectic mix of mainly old character homes and upmarket new homes makes it an attractive area that has been home to many of Auckland's most influential families since the19th century. A slow drive along expensive streets like Seaview Rd, Arney Rd and Victoria Ave gives visitors a taste of life at the top. Remuera is home to many well known New Zealanders including Paul Holmes and the late Sir Edmund Hillary. Also the famous racing driver/constructor Bruce McLaren was born here. Remuera is well regarded as a safe white collar suburb and is commonly sought after by families who want their children to attend a wide selection of New Zealand's most popular public and private schools. Many of the schools within and close to Remuera are private schools, often with a religious component to their curriculum. Remuera Primary, Victoria Avenue Primary School, Dilworth Primary School, King's School for Boys, Saint Kentigerns School, Remuera Intermediate, Baradene, St Michaels Primary and Corran School for Girls to name a few. The area is also well-endowed with good State secondary schools including: Auckland Grammar School, St Peter's College (both for boys) and (for girls) Epsom Girls Grammar School and Baradene College of the Sacred Heart. 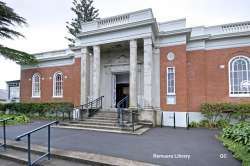 Remuera's Library is a landmark building in the centre of a bustling strip of upmarket fashion and homeware stores, interspersed with a healthy dose of restaurants and cafes. Smaller shopping areas are situated at Upland Road and Benson Road. 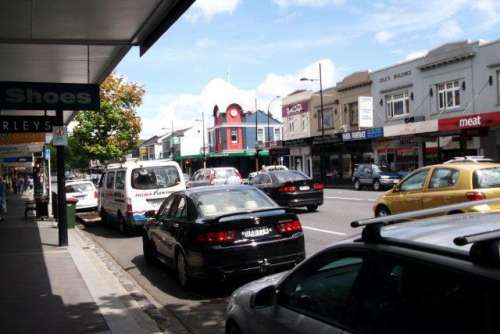 The shopping district Newmarket, while not in Remuera, is close enough for convenient shopping. Remuera has had a long history of human occupation, starting back in the early 14th century when the Maori came to the area. They named the place O-hine-rangi - the place of Hinerangi (girl of the sky). It wasn't until some four hundred years later that it was named Remuwera or Remu-wera. Eventually the Wai-o-hua gave way to the Ngāti Whātua who are now considered the local iwi. When early European settlers moved into Remuera it quickly became one of the most exclusive places to live. 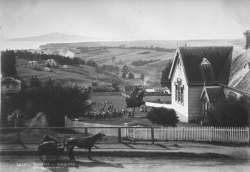 The first shops opened in Remuera in 1890.